Kristalina Georgieva 65, is the Interim President of the World Bank effective as of 1st of February. The appointment comes after World Bank Group President Jim Yong Kim on 7th of January announced that he will be stepping down from his position. 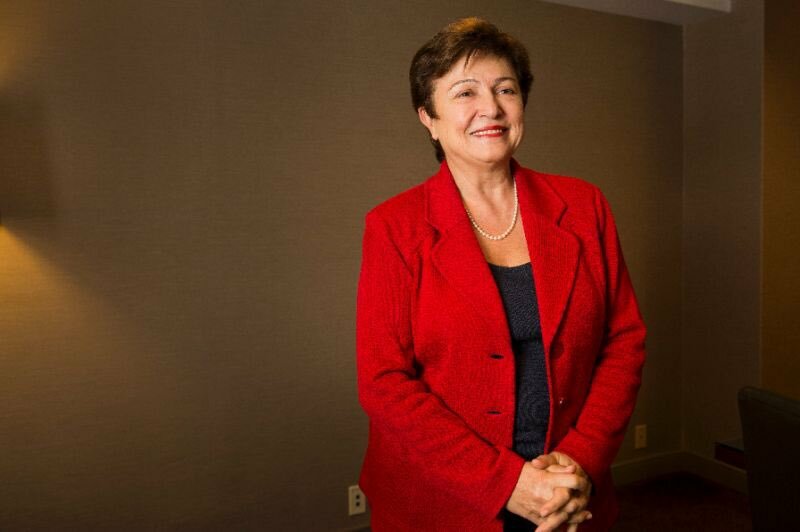 As Interim President, Georgieva drives the World Bank Group’s efforts to end extreme poverty by 2030 and to boost shared prosperity around the world. As CEO for the International Bank for Reconstruction and Development and the International Development Association since January 2017, she has built support across the international community to mobilize resources for poor and middle-income countries and to create better opportunities for the world’s most vulnerable people. Previously Georgieva, a Bulgarian national, helped shape the agenda of the European Union starting in 2010, first as Commissioner for International Cooperation, Humanitarian Aid and Crisis Response, where she managed one of the world’s largest humanitarian aid budgets and established herself as a global champion for resilience. As the European Commission Vice President for Budget and Human Resources, Georgieva oversaw the European Union’s €161 billion (US $175bn) budget and 33,000 staff across its institutions around the world, and tripled funding available to the refugee crisis in Europe. Georgieva has built a reputation as a gender equality champion, humanitarian, and leader in the global fight against climate change. As co-chair of the Global Commission on Adaptation, she is working alongside Ban Ki-Moon and Bill Gates to bring the issue of climate change adaptation on equal footing with mitigation on the policy agenda. At the World Bank and the European Commission, she has driven progress on gender balance, pushing toward a target of 40 percent women in management by 2019 at the European Commission, and achieving parity in senior management at the World Bank. And as co-chair of the United Nations Secretary-General’s High-Level Panel on Humanitarian Financing, she secured the adoption of a much more effective system to meet the needs of record numbers of vulnerable people. Before joining the European Commission, Georgieva had a successful tenure at the World Bank, starting in 1993 as an Environmental Economist, and eventually becoming Director for Environment and Social Development for the East Asia and Pacific Region and then Director in charge of environmental strategy, policies and lending. In 2004, Georgieva was made Director for the Russian Federation, based in Moscow. From 2007 to 2008, she was Director for Sustainable Development in charge of policy and lending operations in infrastructure, urban development, agriculture, environment and social development, including support to fragile and conflict-affected countries. In this role she oversaw around 60% of lending operations of the World Bank Group. From 2008-2010, she was Vice President and Corporate Secretary, serving as the interlocutor between the World Bank Group’s senior management, its Board of Directors, and its shareholder countries. In the wake of the 2008 international financial crisis, she played a key role in the World Bank’s governance reform and accompanying capital increase. Deeply knowledgeable on international development and finance, Georgieva is broadly recognized for her ability to build broad consensus and turn strategies into practice. She has more than 100 publications on environmental and economic policy topics, including a textbook on microeconomics. Kristalina Georgieva was born in Sofia, Bulgaria, in 1953. She holds a Ph.D in Economic Science and a M.A. in Political Economy and Sociology from the University of National and World Economy, Sofia, where she was an Associate Professor between 1977 and 1991.